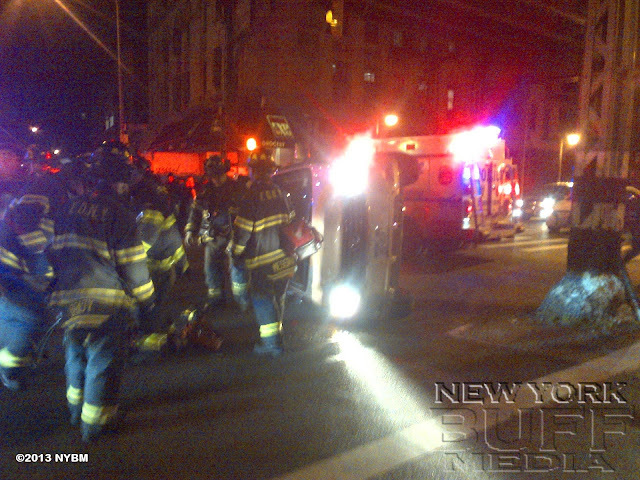 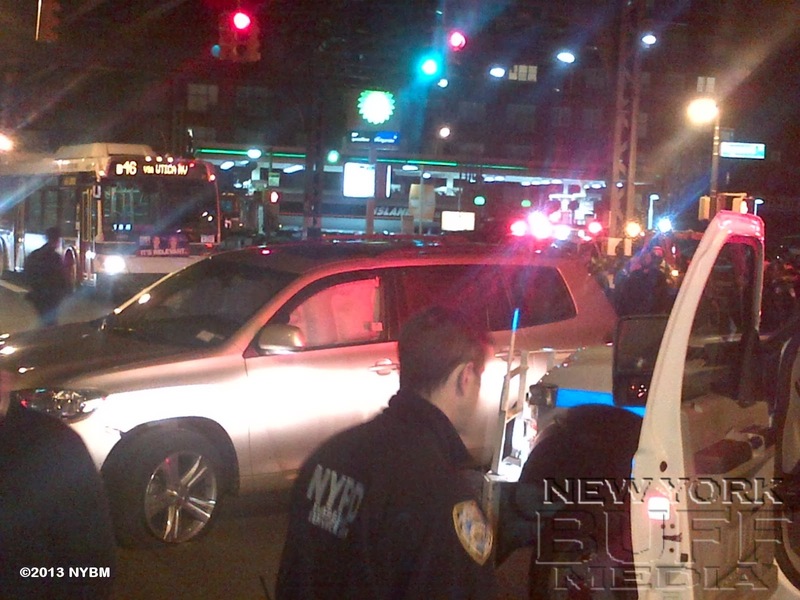 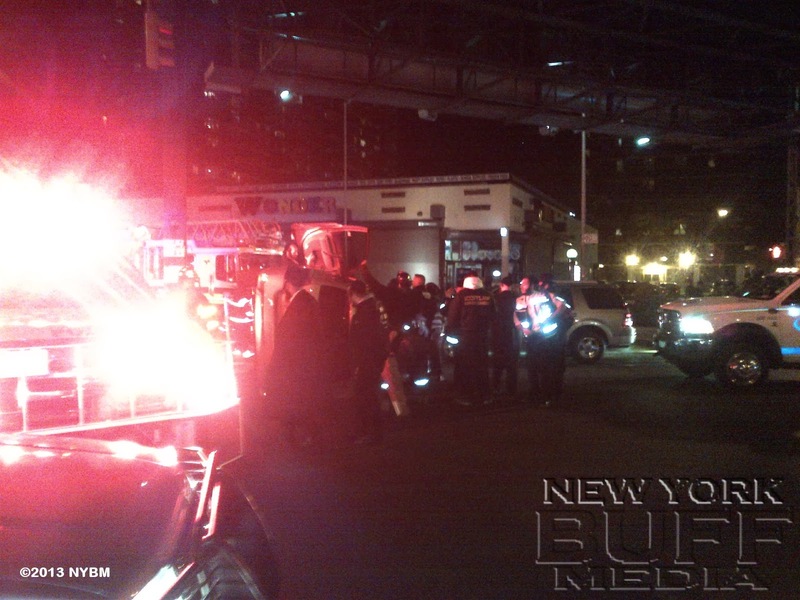 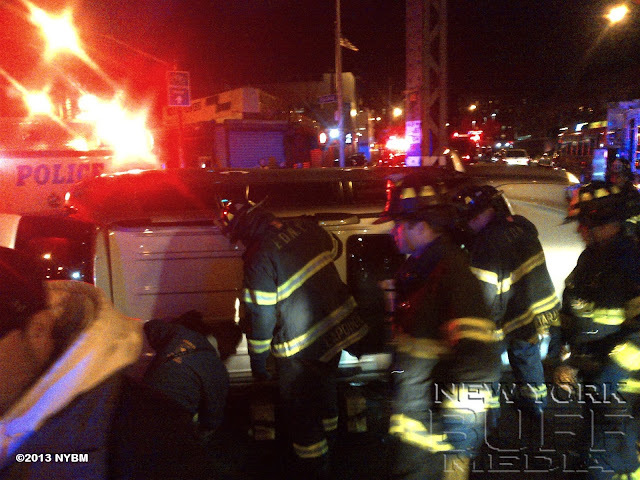 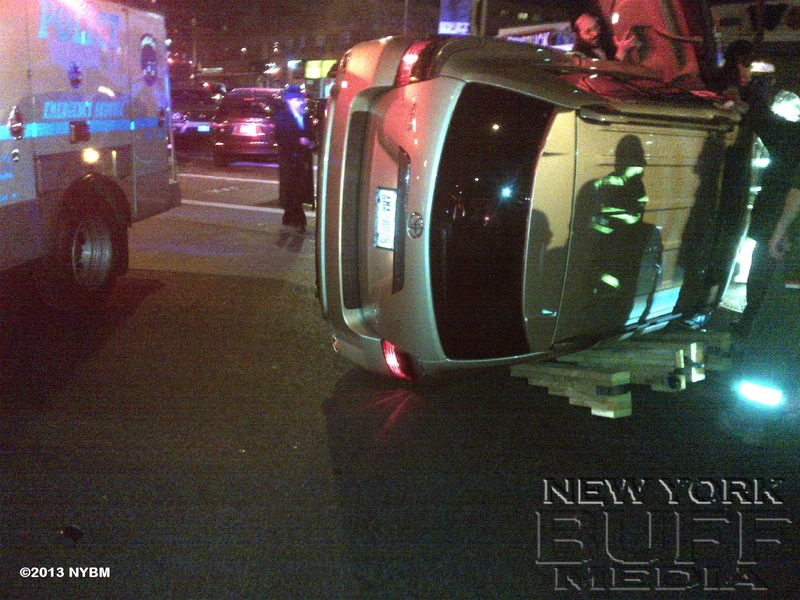 Williamsburg - Hatzolah EMS, FDNY and the NYPD ESU were operated on scene of an SUV that overturned Wednesday night on Broadway Ave and Heyward Street. 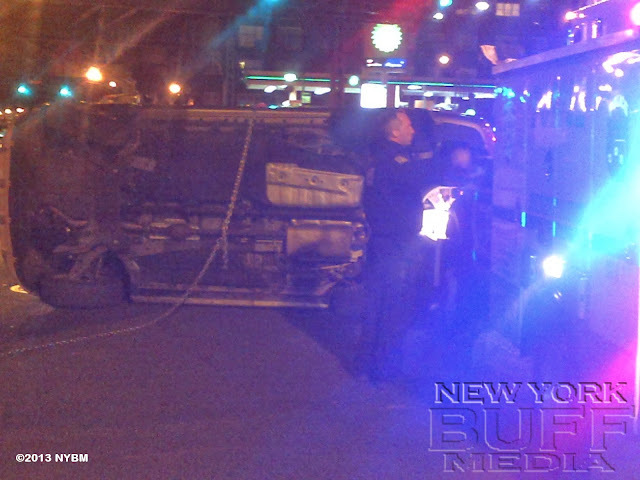 A local shop owner tells NYBM reporter that the Surveillance camera on his store shows the vehicle driving on Broadway Ave at normal speed, then hits one of the train track polls, which caused the vehicle to overturn. The ESU and the FDNY were requested for extraction, however no tools were needed. It is unclear if the driver was injured, but definitely not serious.